Have you heard the news? American Girl recently added a new character to their Beforever lineup; Melody Ellison! This characters' historically accurate storyline highlights the civil rights movement in a 3 book series, that presents the historical events of the era in a relatable way for young girls today. 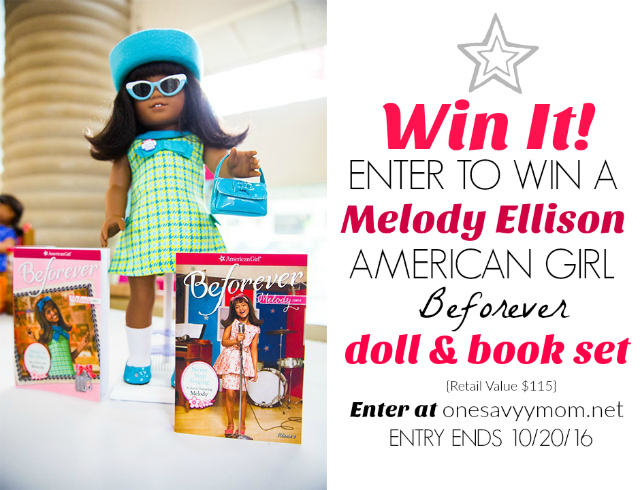 Read on for more on Melody Ellison + enter to WIN an 18" Melody Ellison 18" American Girl Doll & Book Set [RV $115]. 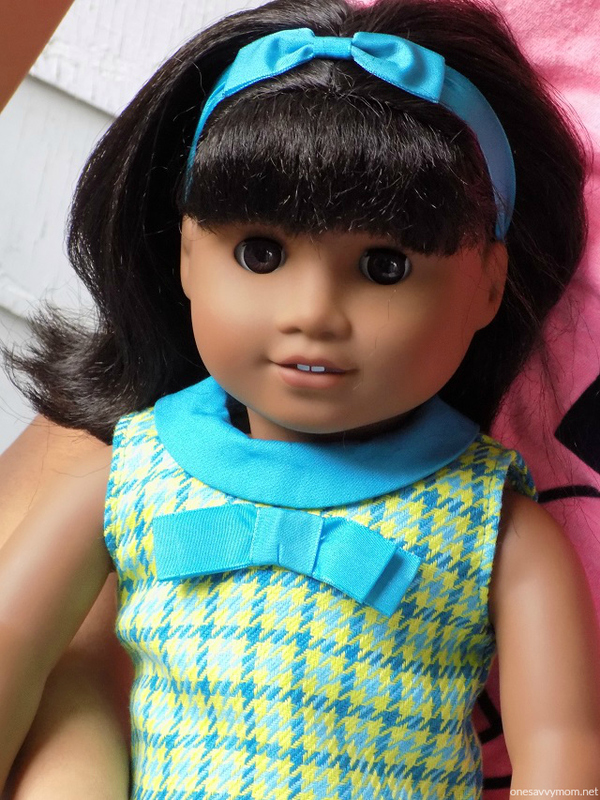 To ensure that Melody Ellison's storyline, doll, and accessory line was historically accurate, American Girl spent two years alongside an esteemed advisory board, reviewing all aspects of the character and the line. 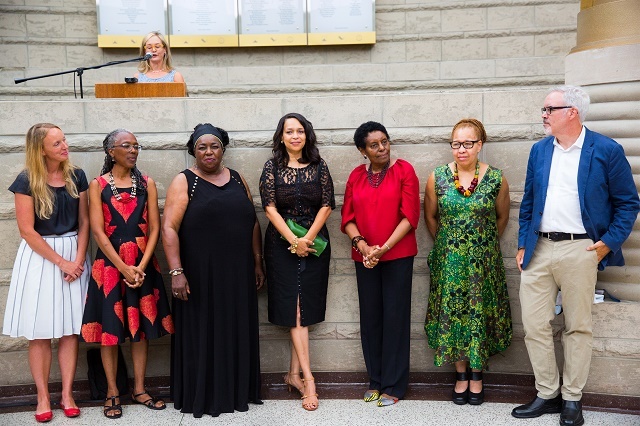 The esteemed six member advisory board included: The late Horrace Julian Bond [the chairman emeritus, NAACP Board of Directors and founding member of Student Nonviolent Coordinating Committee SNCC] , Gloria House [directior and professor emerita, African and African American Studies at University of Michigan Dearborn], Juanita Moore [President and CO of the Charles H. Wright Museum of African American History in Detroit and founding Executive Director of the National Civil Rights Museum in Memphis], Rebecca de Schweintz [associate professor of history, Brigham Young University, Utah and author of If we Could Change the World: Young People and American's long Struggle for Racial Equality], Thomas J. Sugrue [professor of history at New York University and author of Sweet Land of Liberty: The Forgotten Struggle for Civil Rights in the North), and JoAnn Watson (native of Detroit, ordained minister, and former executive direct of the Detroit NAACP]. The results of all of their hard work is visibly present in this characters' amazing inspirational storyline, the Melody Ellison 18" doll, and the extensive accessory line. 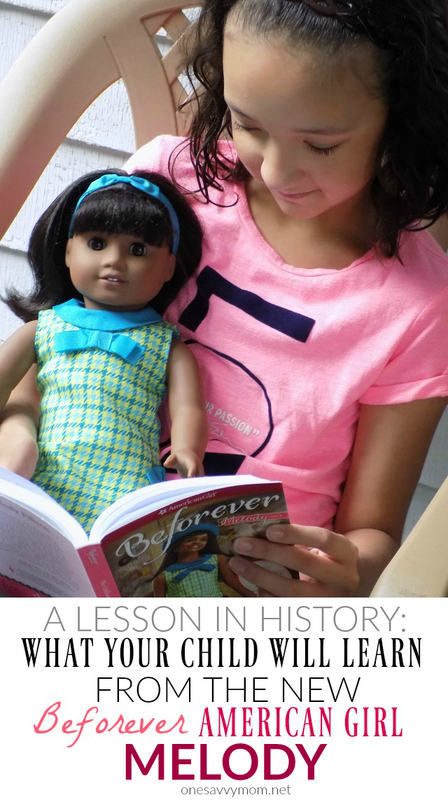 What I've always loved most about American Girl, is their presentation of their characters and their individual eras', with engaging, historically accurate back-stories. I can still remember pouring over the pages of American Girl books when I was a child. Now, my daughter is doing the same. We are absolutely loving everything about the Melody Ellison line! The books in this series are highly engaging; my daughter (9 yrs. old) read through the first two books in the series, in two days (she couldn't put them down). She can't wait to read the 3rd! To coincide with Melody's debut, American Girl is launching the Lift Your Voice with Melody campaign. Fans can watch the Lift Your Voice with Melody Video at www.americangirl.com/liftyourvoice and then share their own inspiring videos and photos on how they make a difference, using #LiftYourVoice. American Girl retail stores are also hosting free Melody-inspired events geared towards girls ages 8 and up that include a gree craft, 1960s music, food, and a free gift. More details are available at www.americangirl.com/retail. (1) One Savvy Mom will receive a Melody Ellison 18" American Girl Doll & Book Set [RV $115]. Entry is simple. You can enter through the Rafflecopter form below. Good luck! //Disclosure: Media samples were provided for review + giveaway purposes. All opinions expressed are our own.